Our Tension Box features a mounting bracket that adjusts to fit all our floor looms (Wolf, Standard, or Schacht Cranbrook). It should be compatible with other brands of floor looms too. 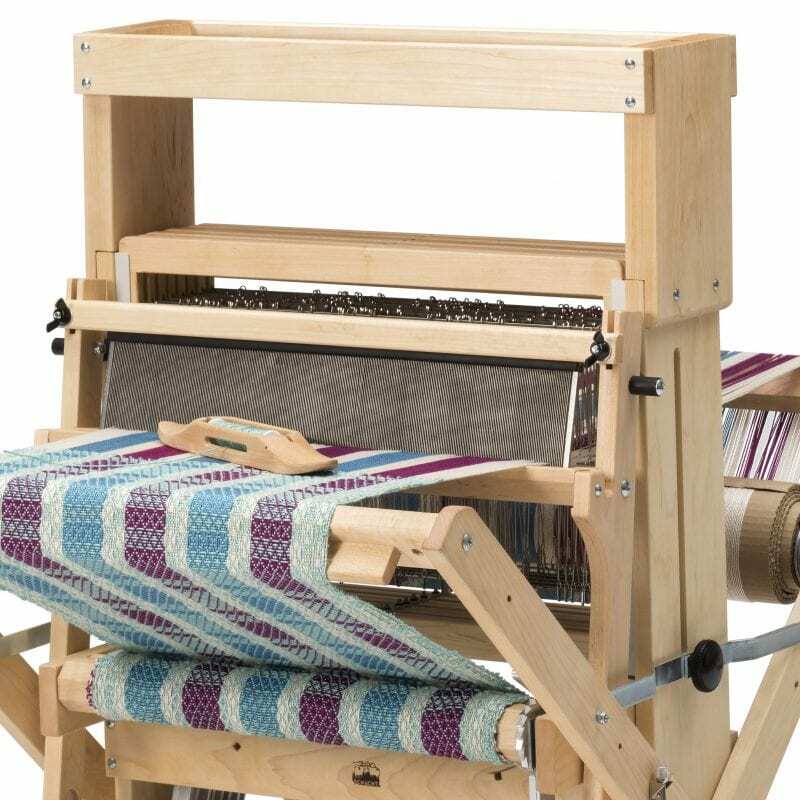 Features include: two-sided sturdy construction with an 8-dent reed at the back, an adjustable tension knob, a heddle to make the cross, and a swiveling 12-dent reed at the front to adjust the feeding width of the warp.